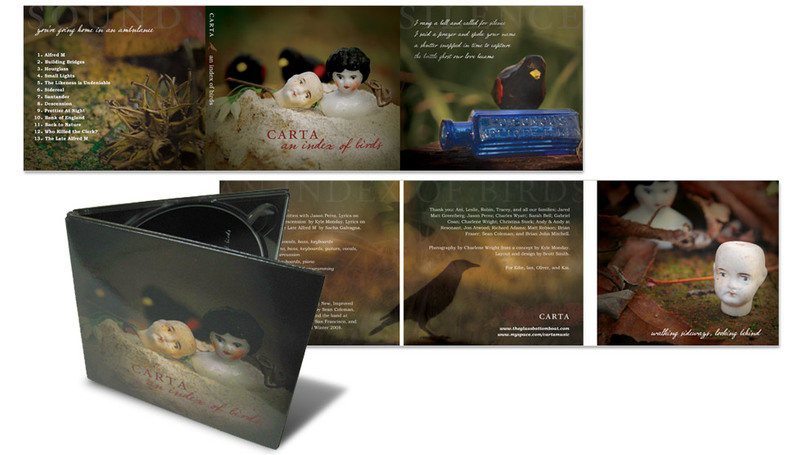 CD package design for San Francisco band CARTA’s second release. Photography by Charlene Wright based on a concept by Kyle Monday. Visit CARTA online at www.theglassbottomboat.com and on MySpace.